GPR Basics is NOT typical text book. GPR Basics is NOT going to make you an expert after reading it one time. GPR Basics is NOT for complainers that worry about every little grammatical error. GPR Basics is NOT a book with a lot of math. Actually it has very little math, all that can be done with your phone, and NO calculus. GPR Basics will NOT give you magical power!!!!! So if you want an 850 page book with calculus, then this isn't the book for you. 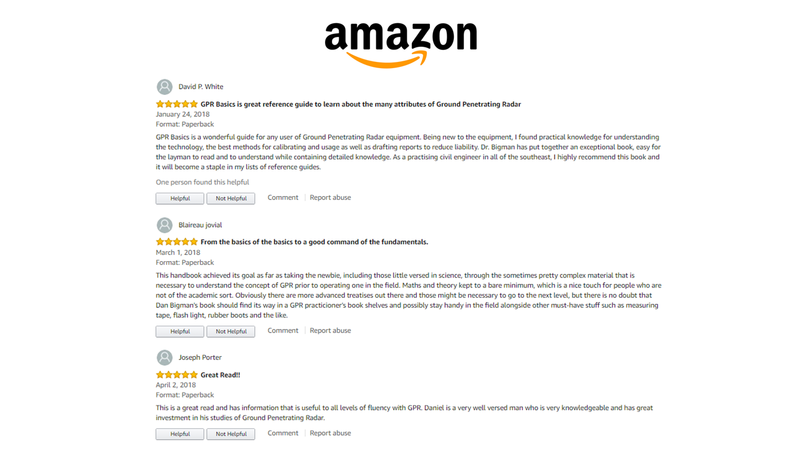 GPR Basics IS a shortcut to help you comprehend the fundamental concepts of GPR faster than ANY other book on the market. So if you want to get familiar with GPR technology, how it works, how to use it, when to use it, and what to use it for...then this IS the book for you! This book goes through the concepts required to be a professional, but presents them in a friendly and consumable way. GPR technology doesn't have to be difficult to use. It can be easy to learn and FUN! That is what GPR Basics provides...a very readable, approachable text for students, professionals, and managers. AND that's only in the first 55 pages!!!! This book WILL help you jump start your education so grab your FREE copy above.